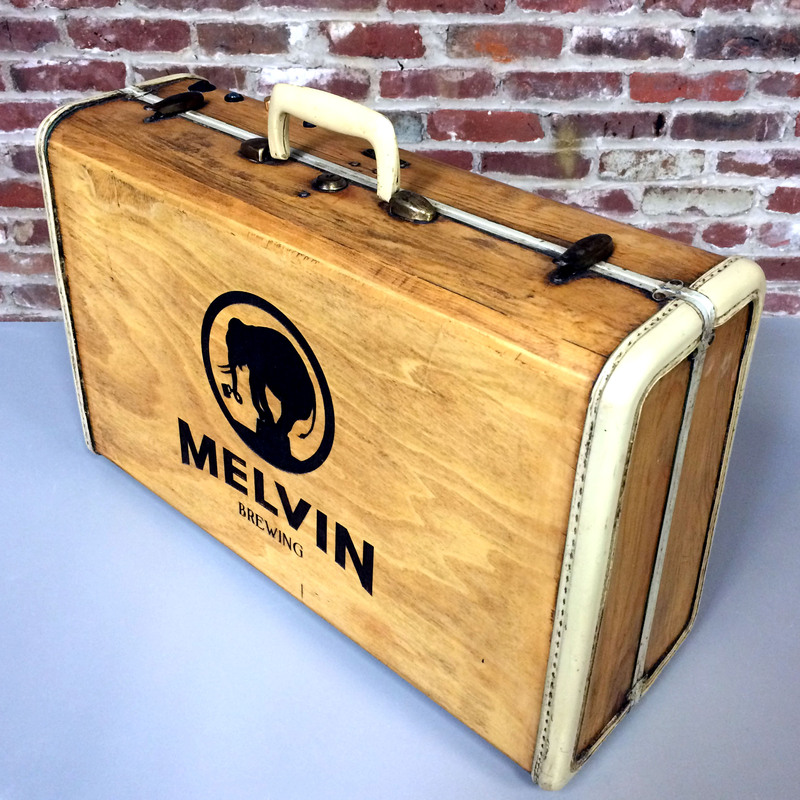 Our latest custom collaborative BoomCase with Melvin Brewing! 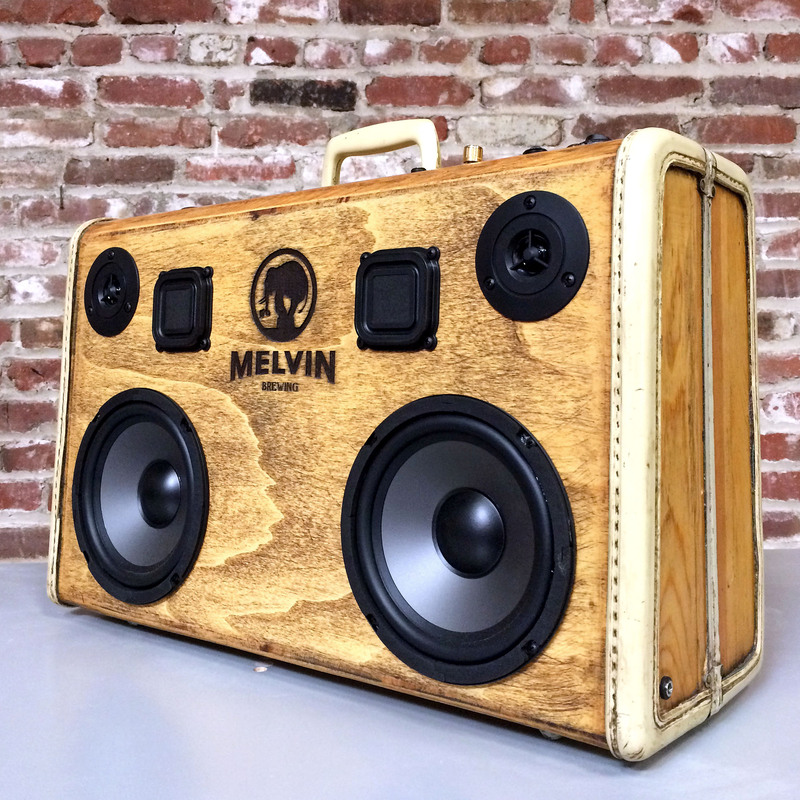 A fully functional BoomCase that opens up to reveal a cushy home for a 6 pack of Melvin Beer! 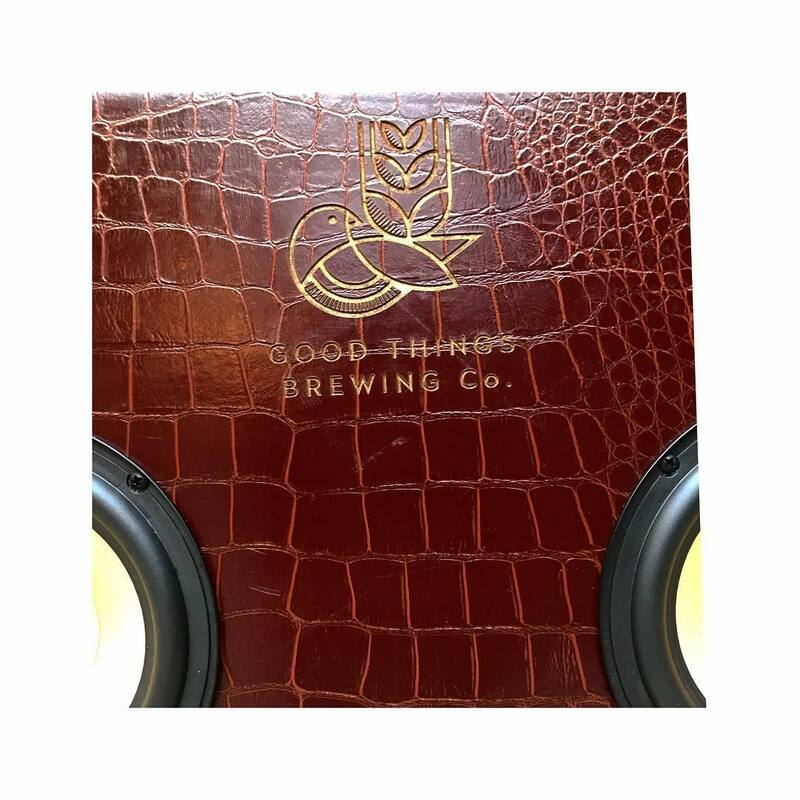 Email us if you want one customized for your self or brewery! 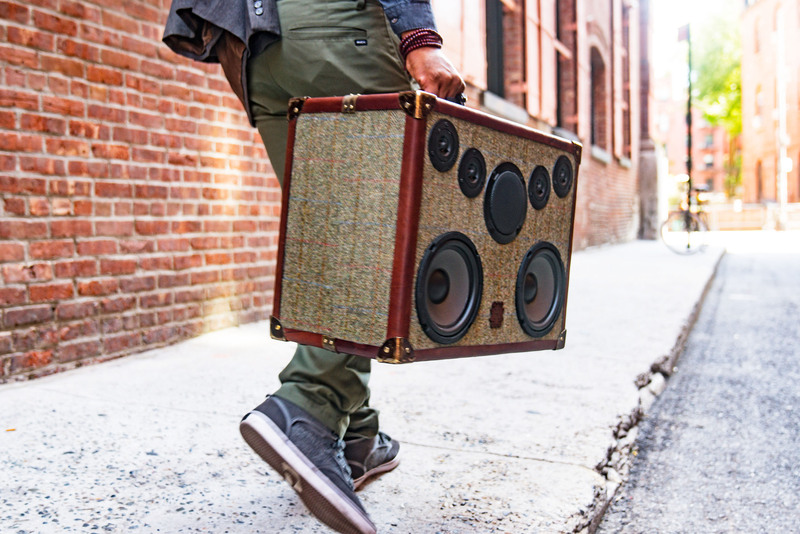 E&J BRANDY COLLABORATES WITH THE BOOMCASE TO TURN UP THE HOLIDAYS. The holidays are all about coming together to celebrate the season and this year E&J Brandy is looking to turn it up a notch. 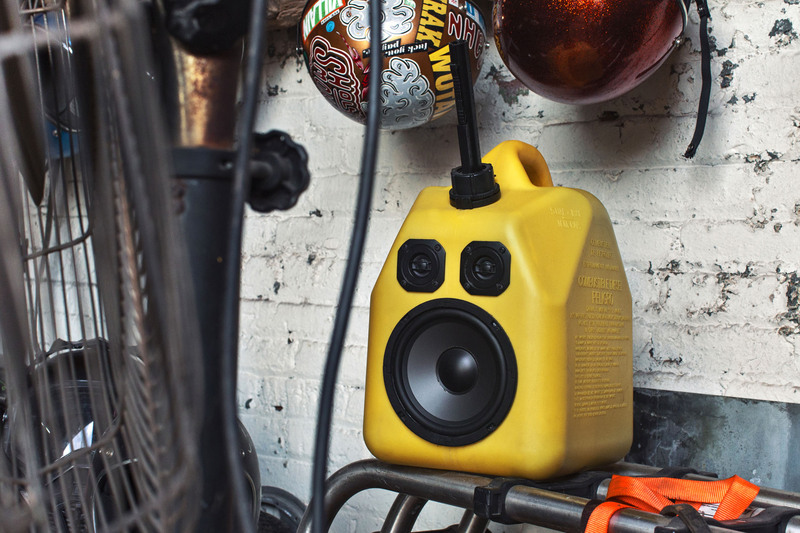 That’s why E&J partnered with official party starters, BoomCase, to create customized speakers designed to elevate any evening. 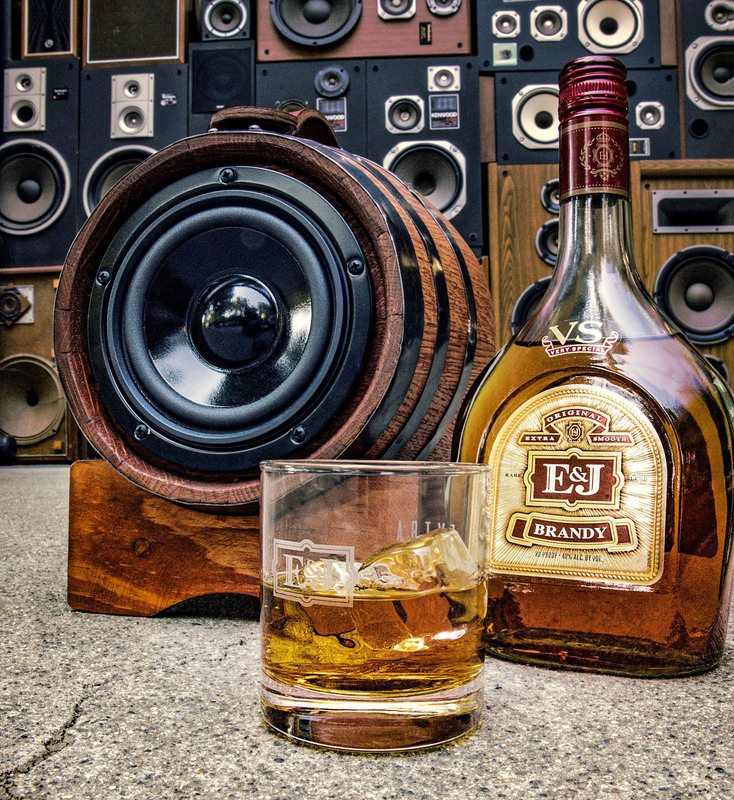 Fans can enter now through December 31st for a chance to win one of 21 limited edition barrel speakers; including a grand prize speaker crafted from an authentic E&J barrel. 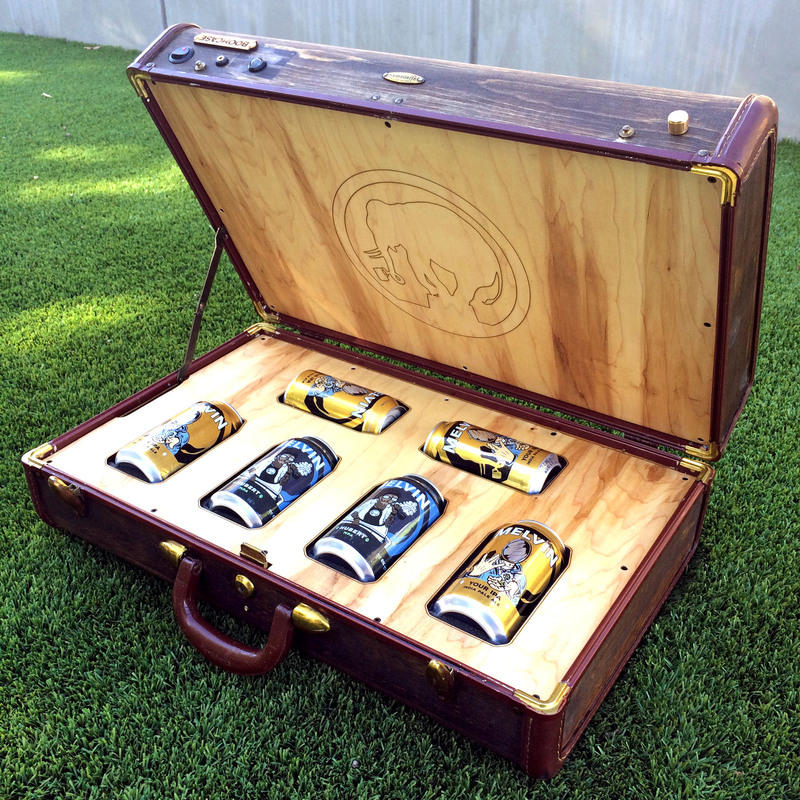 This one of a kind collaboration is so unique that BoomCase co-creator, Dominic “Simo” Odbert, traveled to the E&J barrelhouse to meet up with E&J’s Master Distiller and hand-select the perfect grand prize barrel. 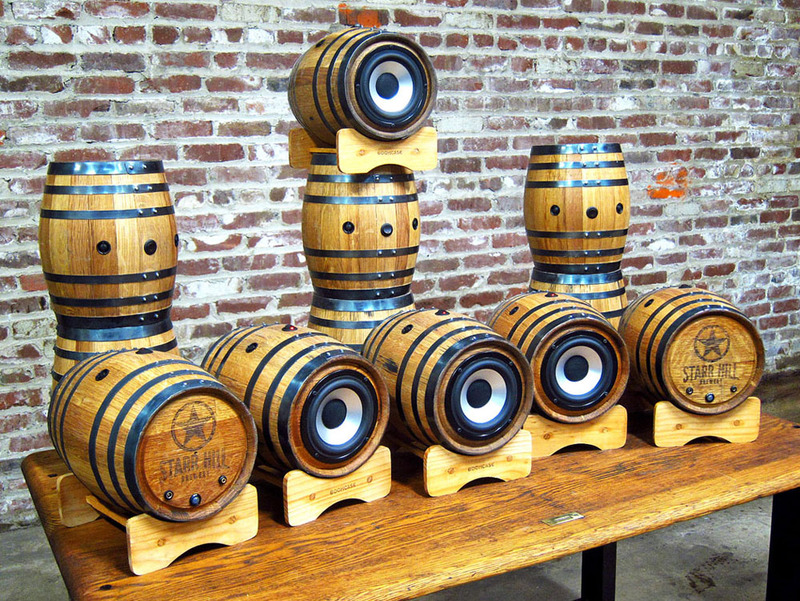 With incredible acoustics and distinct style, this exclusive barrel speaker is guaranteed to get your holiday’s boomin. Learn more about this limited edition collaboration and enter for your chance to win by visiting thedrop.ejbrandy.com. Filmed in San Francisco, California. The Hosts of the Show flip a coin and one of them gets to go around a city and spend an unlimited amount while the other only has $100. Tony, the host in the clip, “won” the unlimited amount. 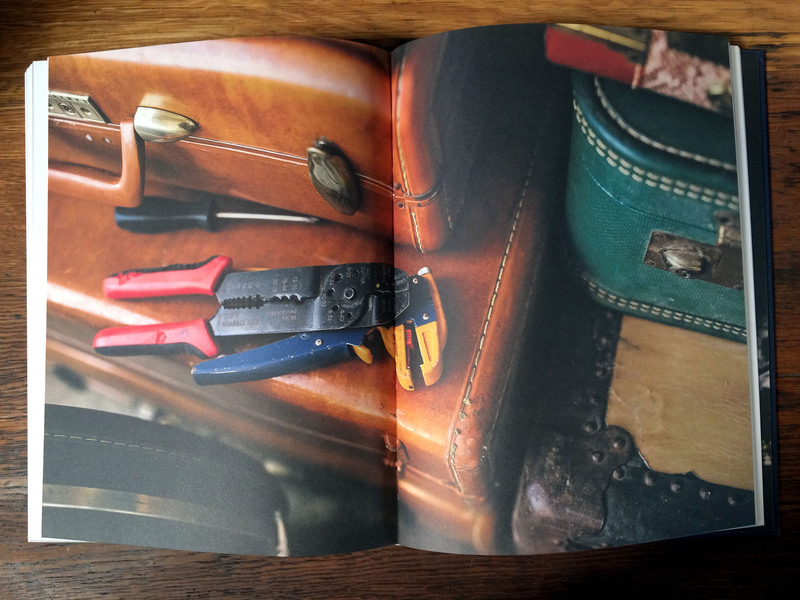 It’s an honor for us to be apart of this amazing new book “Made to Last: A Compendium of Artisans, Trades & Projects” by Vanessa Murray! 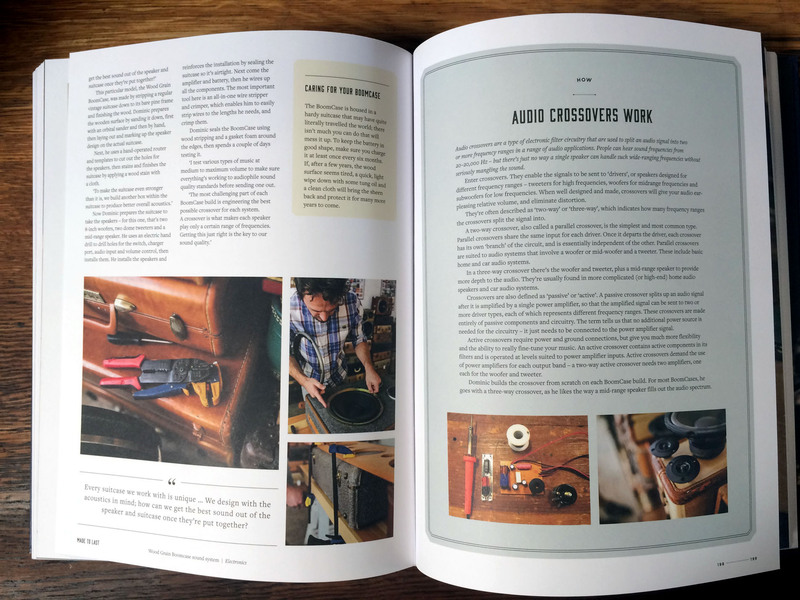 She wrote an amazing feature about us and many other artists in this beautifully designed book. Well worth it just to see all the great things still made by hand throughout the world. 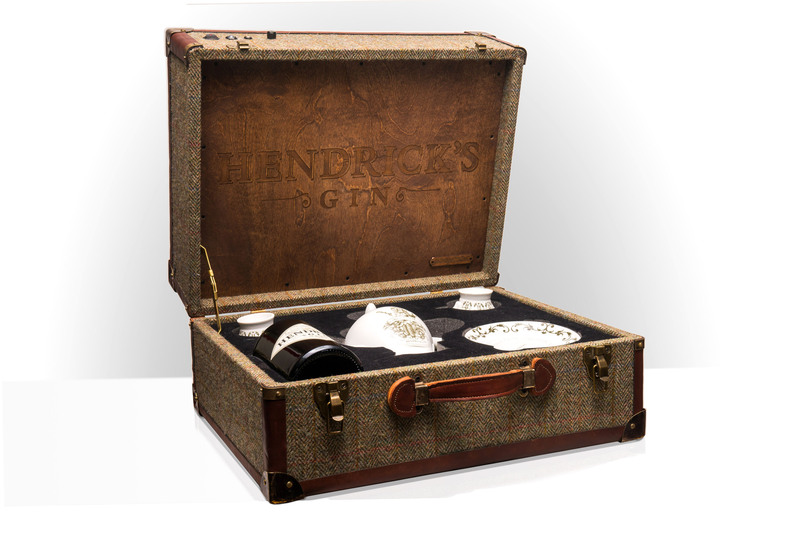 Our Hendrick’s Gin BoomCase takes multiple days to make from start to finish. Because of how much is involved in this BoomCase we decided to put together this little video of some of what goes into making these limited edition BoomCases. Enjoy! New online store in the works! After nearly 8 years the service we have been using to power our online store is closing down 🙁 ! We are hard at work at making a new web store but are not quite finished with it. On Jan 31 the old store will shut down. We hope to have the new one up and running by next week at the latest but hopefully sooner. 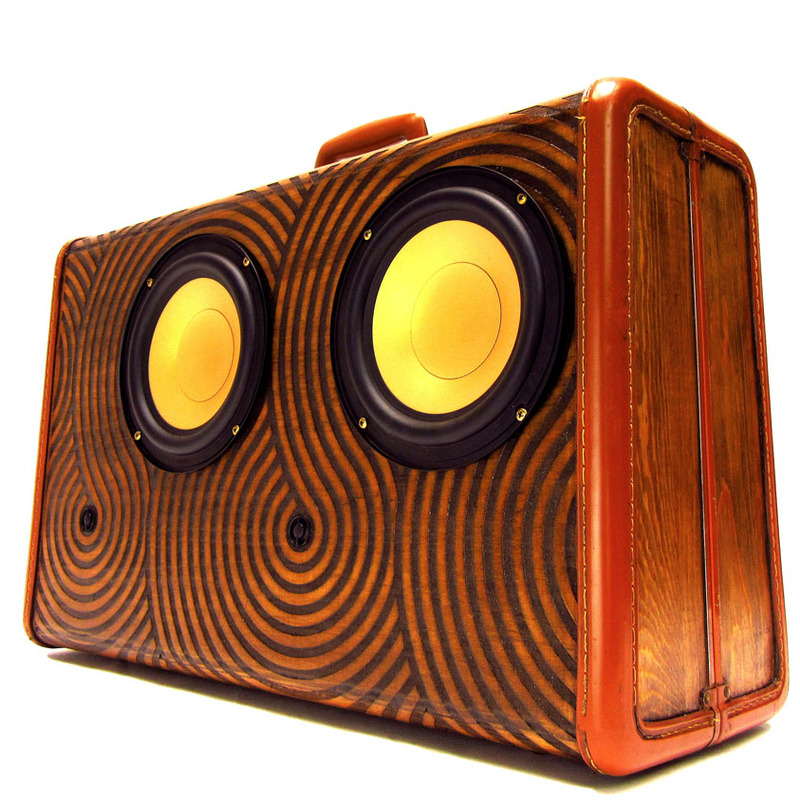 In the meantime we will take orders on the Hendricks BoomCase,the BoomBarrel, our new Wooden BoomCases and any custom order. 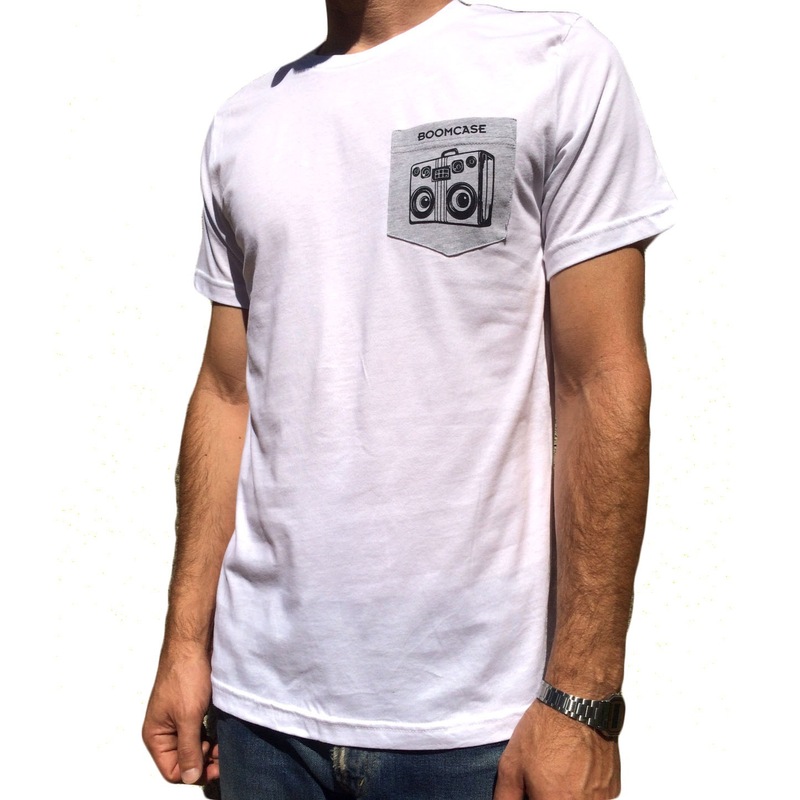 Please email us at orders@theboomcase.com if you need help. 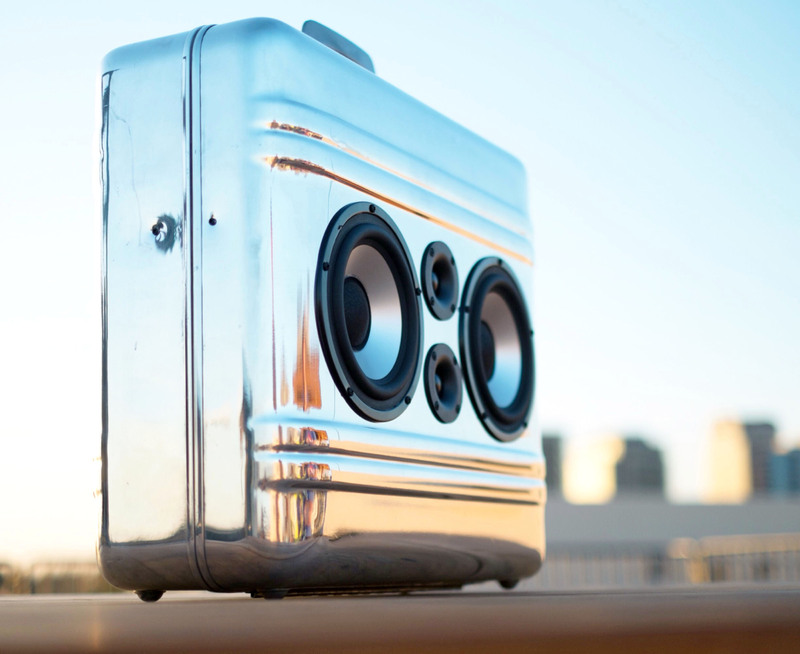 If you are interested in getting your own be sure to email us at – info@theboomcase.com for a quote. 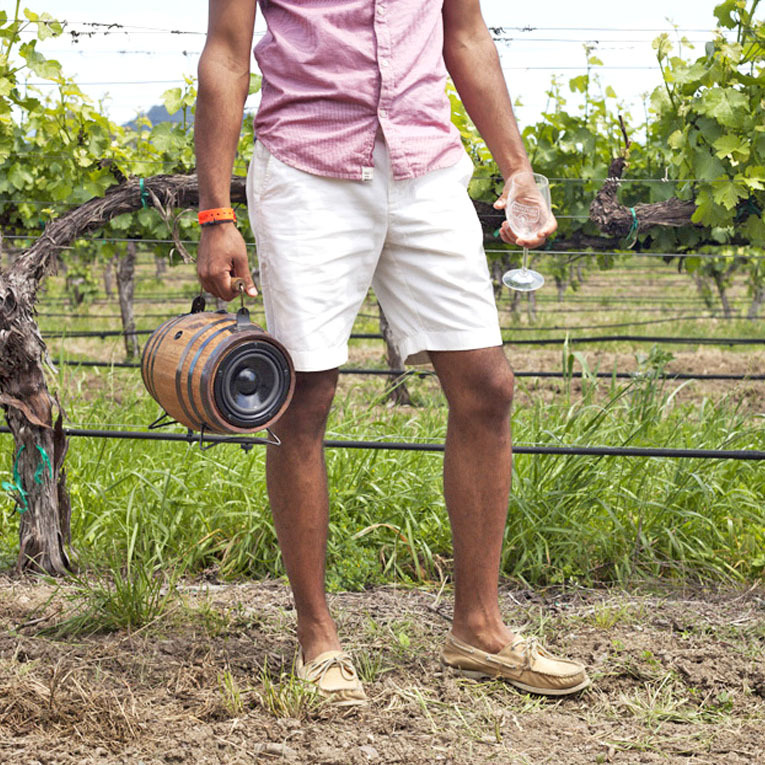 Announcing the Hendrick’s Gin x BoomCase collaboration! 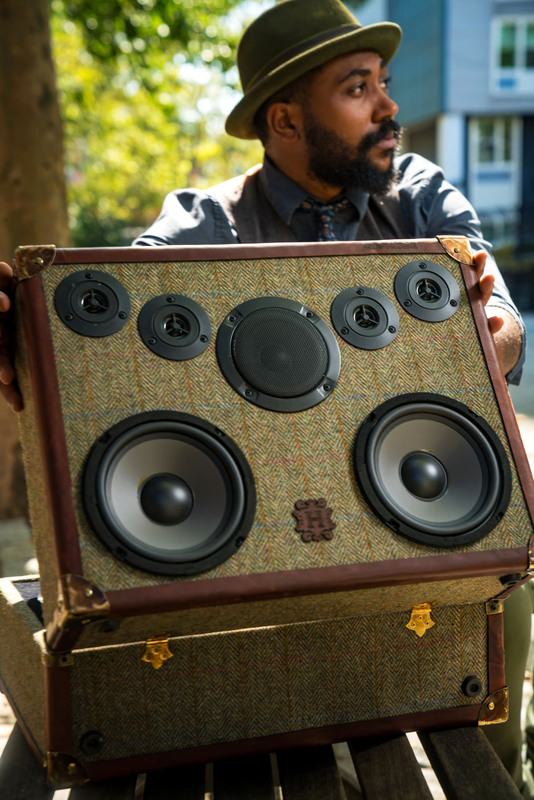 Hendrick’s Gin is pleased to announce its partnership with The BoomCase, maker of the original rechargeable vintage suitcase boom box, which this week unveiled a one-of- a-kind speaker system that includes a full Hendrick’s Gin Tea Set. 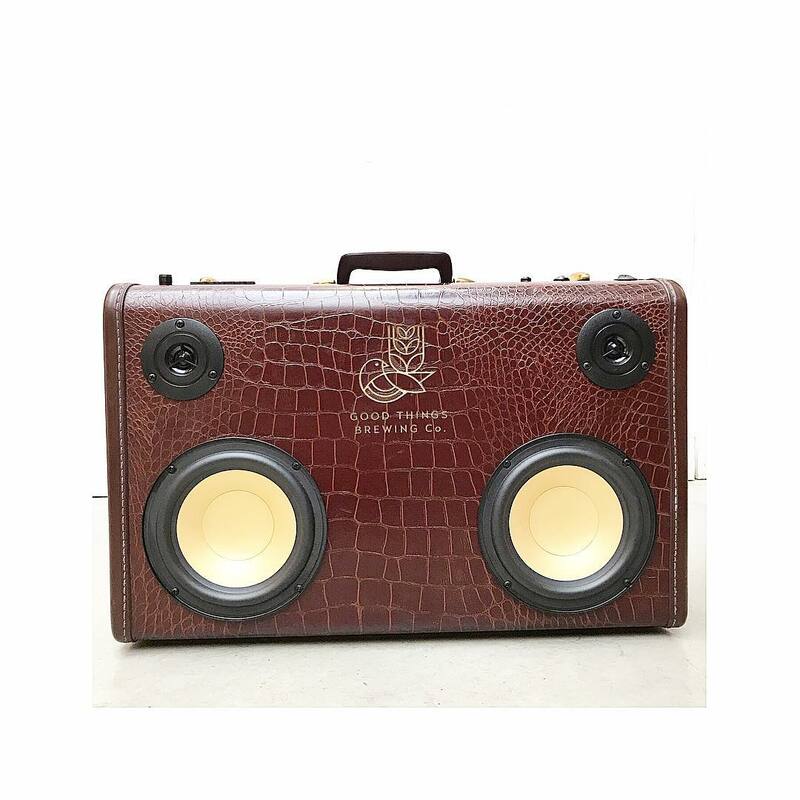 The collaboration embodies the eccentricity of the world-renowned gin brand, combined with the innovation of The BoomCase, creating the most unusual electric speaker fit for the most refined tippler and appreciator of the art of entertainment. 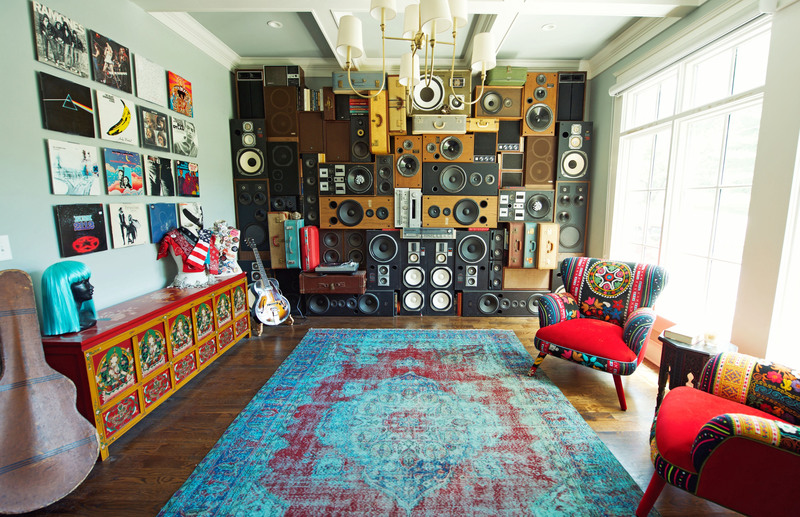 vintage suitcases at his boutique studio in California, crafting a most unique product that blends imaginative sound engineering and superior design. No stranger to curious fusions, Hendrick’s Gin itself is made in tiny batches by a single stillman using a unique distillation technique. With a distinctive blend of botanicals and infusion of cucumber and rose petals, Hendrick’s has captivated the attention and hearts of bartenders and bon vivants alike. heritage of the past, and Hendrick’s continues to surprise and delight its drinkers with the art of the unusual, the two entities are an impeccable match for brilliant revelry. 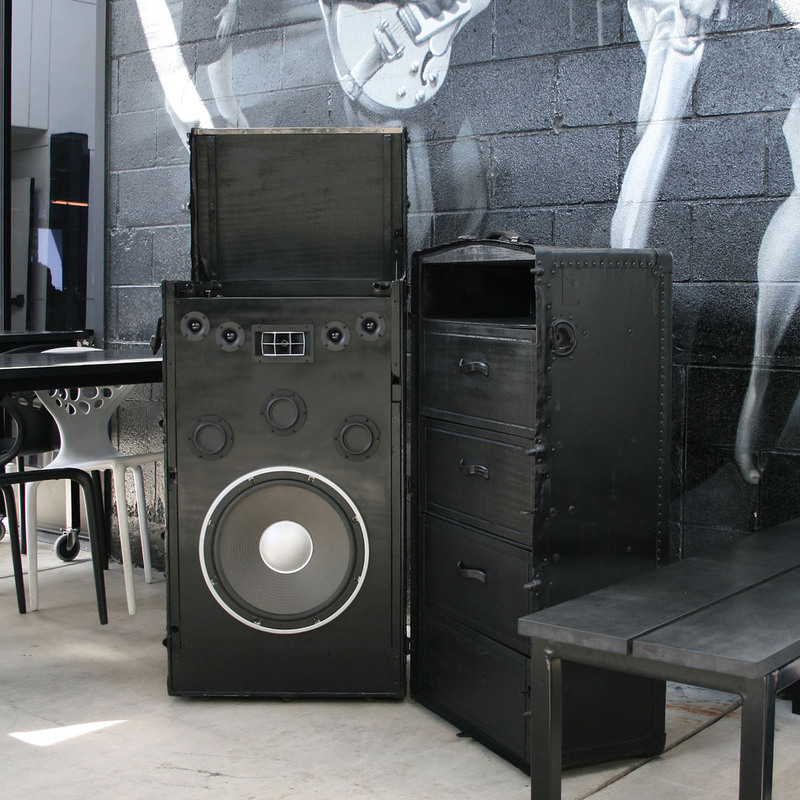 The limited edition collaboration, of which only 15 BoomCases will be available for purchase, will feature a 100 watt amplifier powering two 6.5″ woofers, one 5″ midrange speaker and four dome tweeters, offering full balanced sound in a portable package. The rechargeable lithium battery provides over 18+ hours of playtime per charge through an auxiliary cable or wirelessly via Bluetooth. The structure itself is handmade from birch wood and features leather trim, harris tweed and steel hardware. In addition to the speaker system, a Hendrick’s Gin Tea Set consisting of one tea pot, two tea cups, two saucers and a placeholder for a 750-ml. bottle (bottle not included) are all incorporated to aid in the celebration. 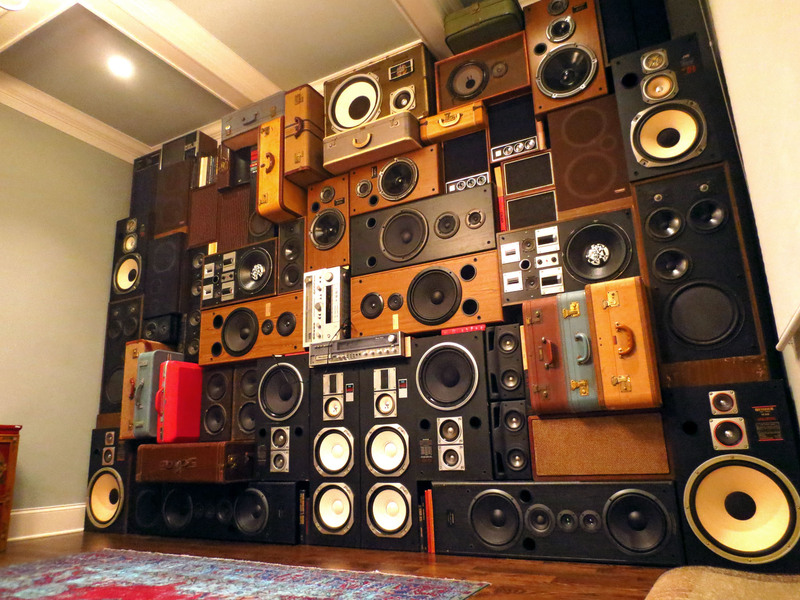 its recipients with an extraordinary experience that can transcend the test of time, as only music and merriment can do. We hope that this most unusual way to toast the town while listening to tunes will be an absolute delight to its owner,” said Fred Parent, Hendrick’s Gin Ambassador. on Hendrick’s, please visit www.hendricksgin.com. Product information, hi-res imagery and additional materials are available upon request. Please enjoy the unusual and jam responsibly. 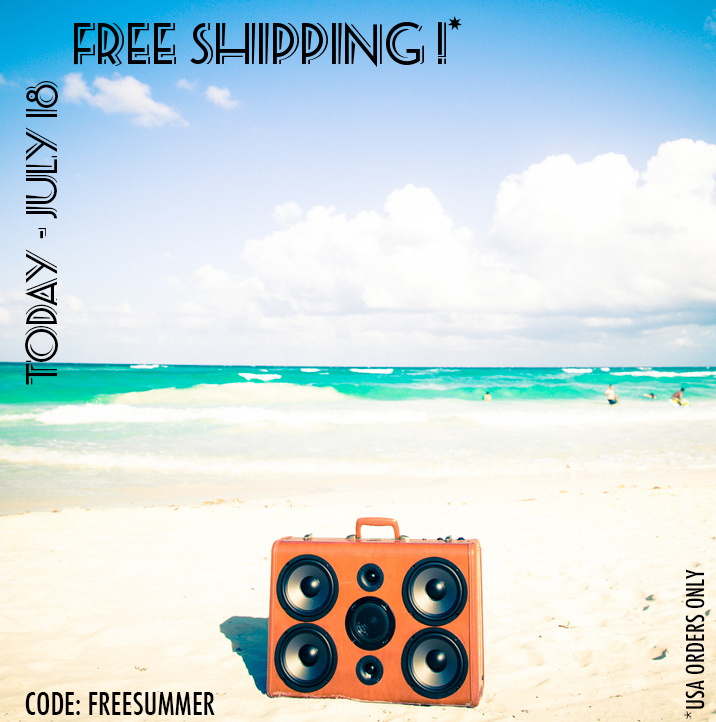 Free Shipping This Friday Only! Shipping is on us! Any order placed from now until September 29th will receive shipping for free in the United States and international shipments receive $49 off. 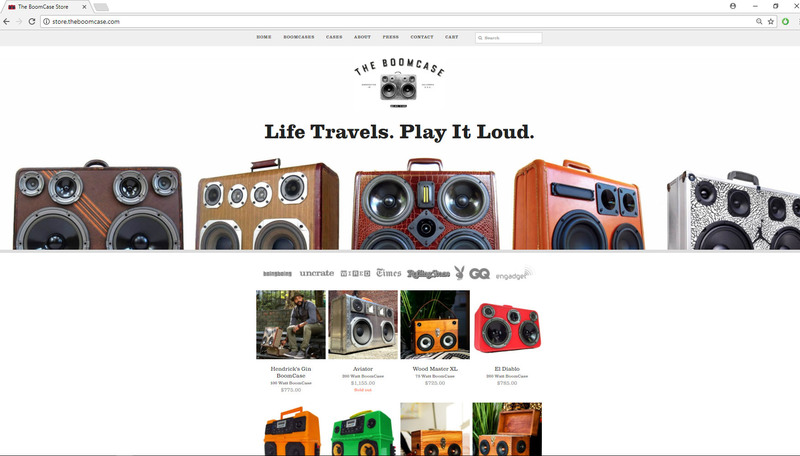 Check out all the available BoomCases at http://store.theboomcase.com – Use Promo Code FREEFALL during checkout. 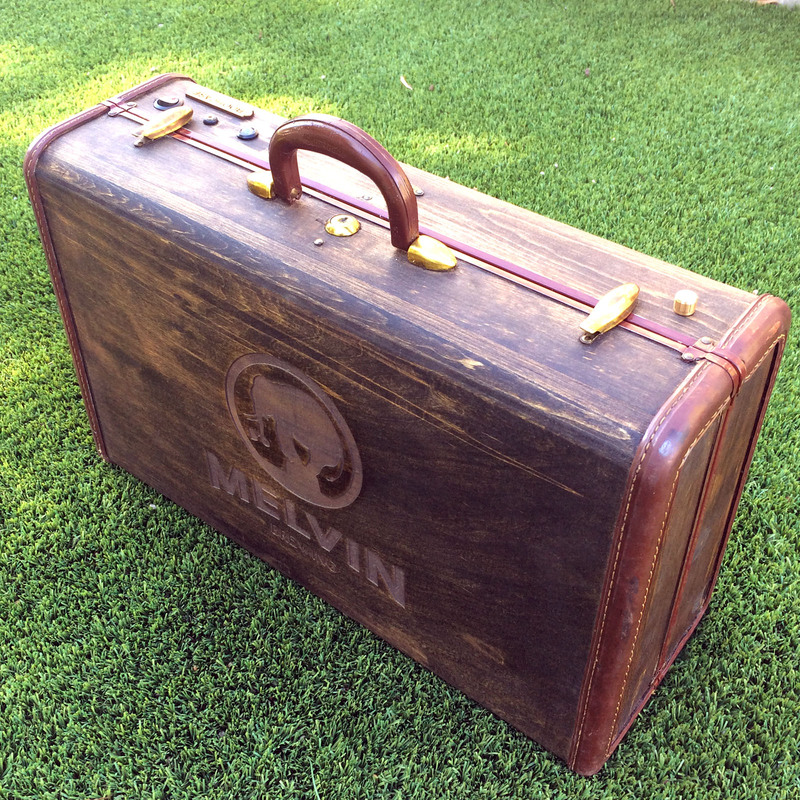 The first ever laser etched BoomCase! 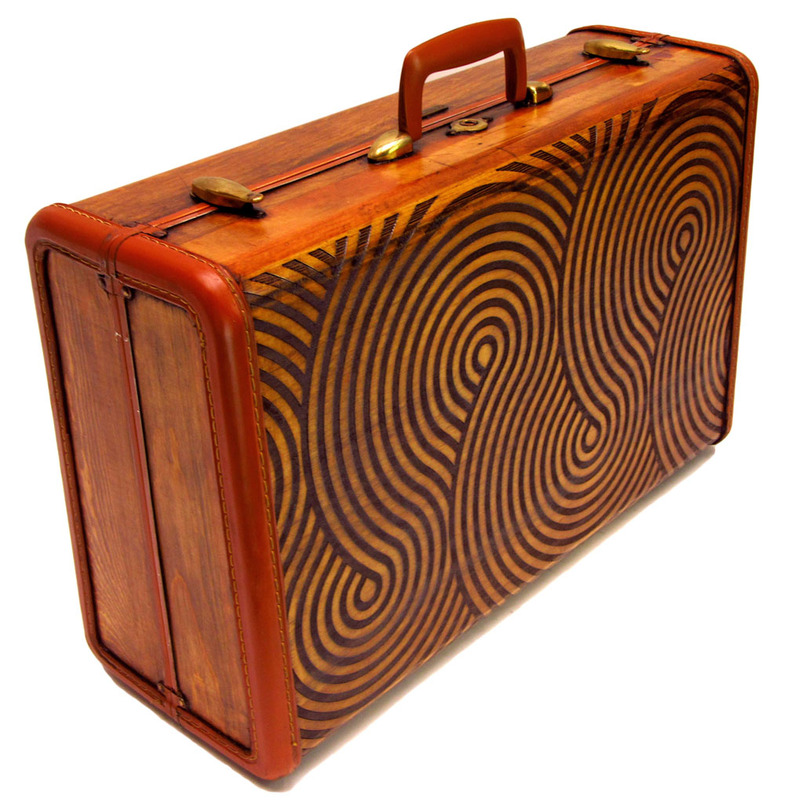 We took our Wooden Samsonite Case and handed it off to artist Jake Castro (www.jakecastro1.com) to produce this amazing BoomCase! 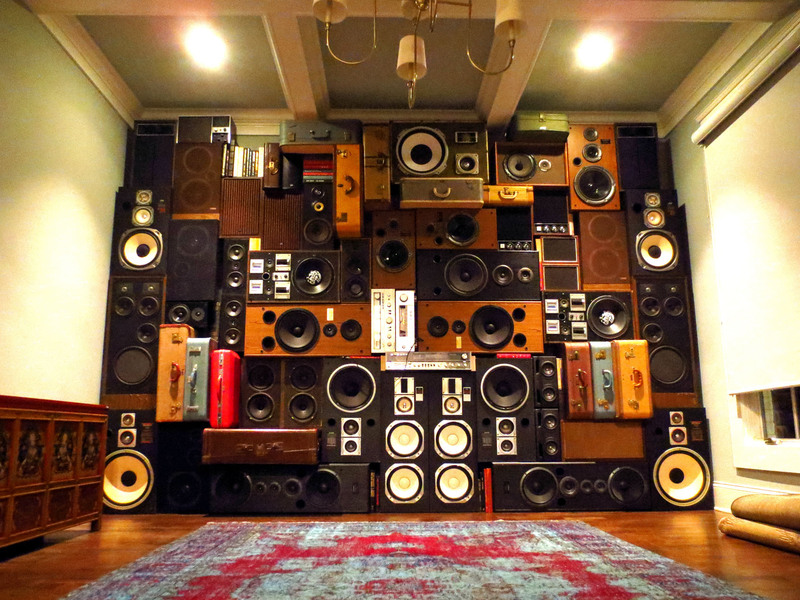 Featuring Gold Woofers and 200 Watts of Power. Available in our online store. Click here to shop. 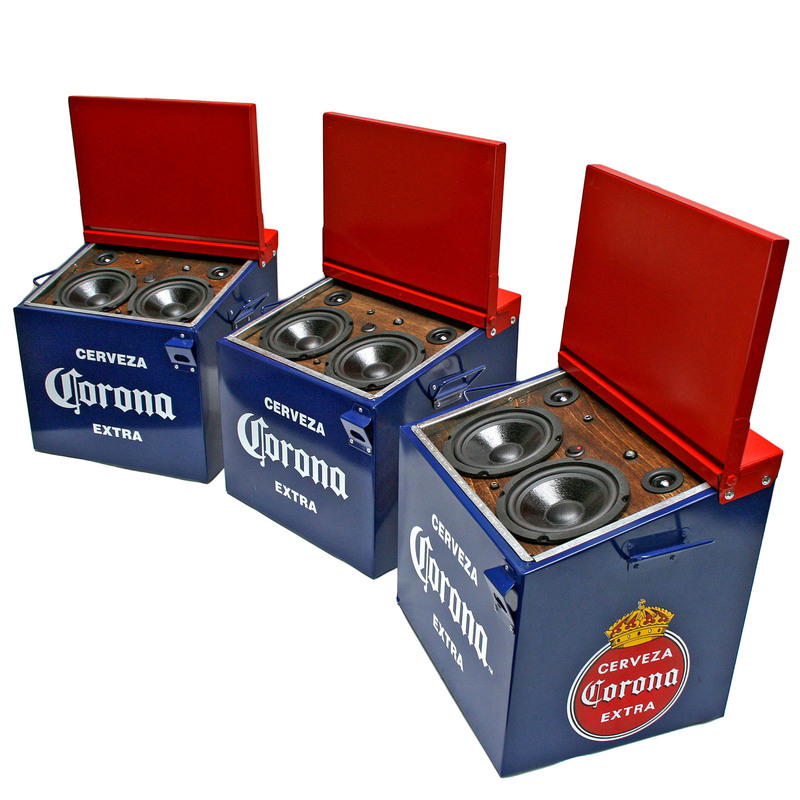 A look at a some of the Corona Coolers we just finished up for Coronas Distributor. 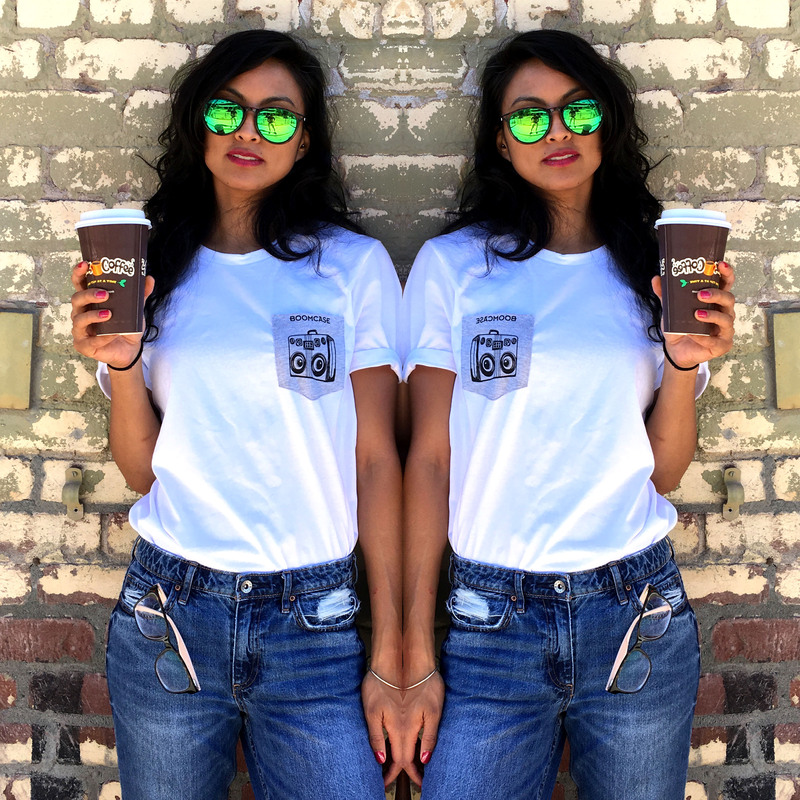 Want one for yourself? Let us know if you might be interested in one. 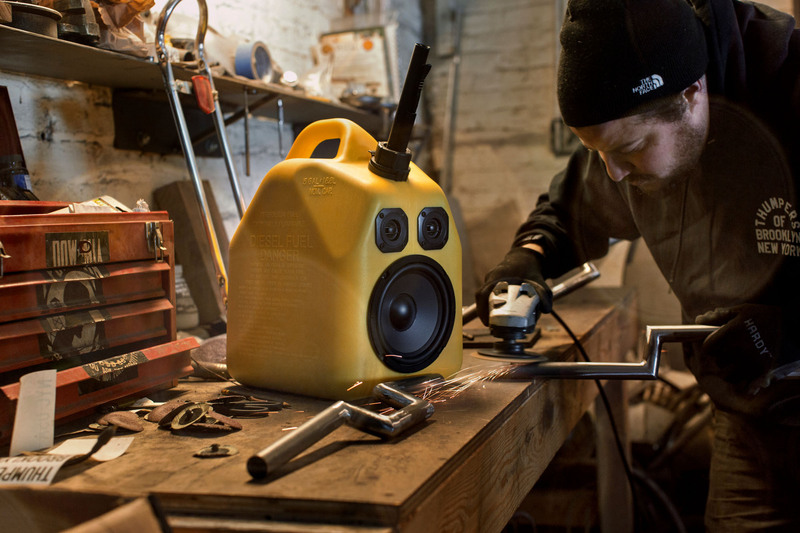 Our Latest BoomCase Viking Barrel – Mini Edition. Now includes handle and fixed feet! 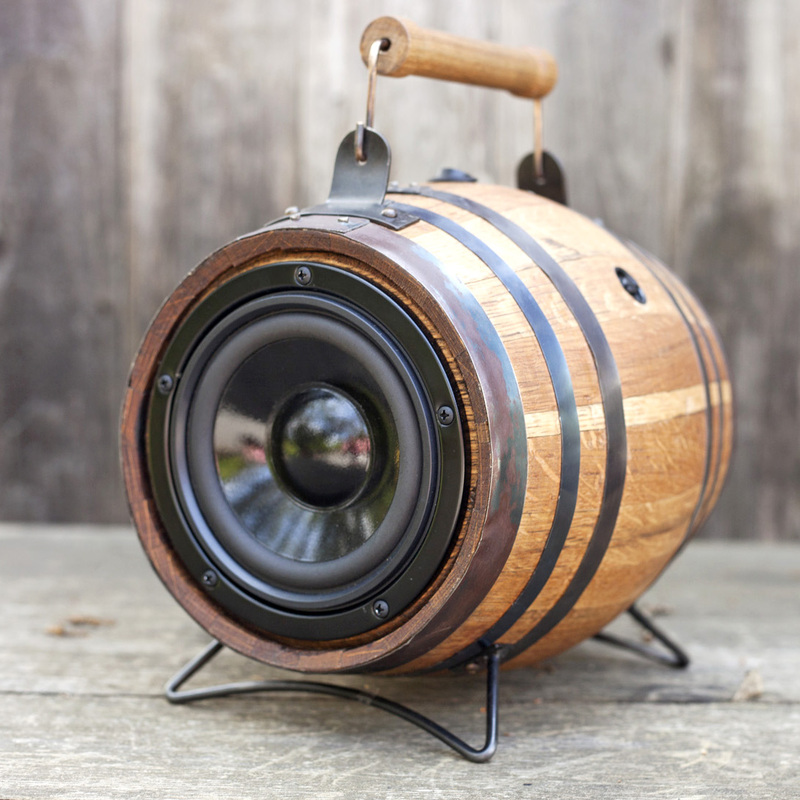 Vintage barrel turned into the perfect portable and home sound system. 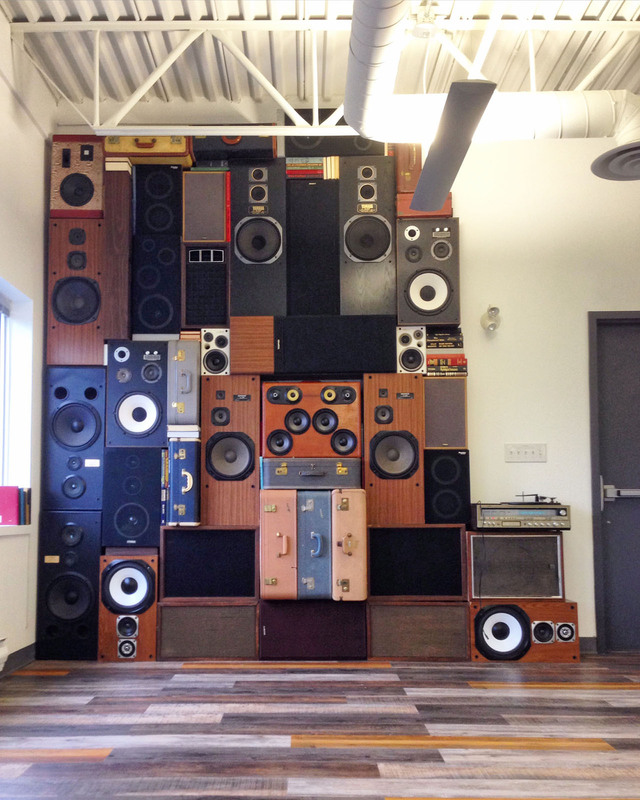 Compact and lightweight providing amazing sound indoor and out. Two differnt woofers are available. Aluminum Coned or Black. For a limited time we are offering free shipping within the USA or $49 off International shipping! Hurry offer only lasts till July 18th. 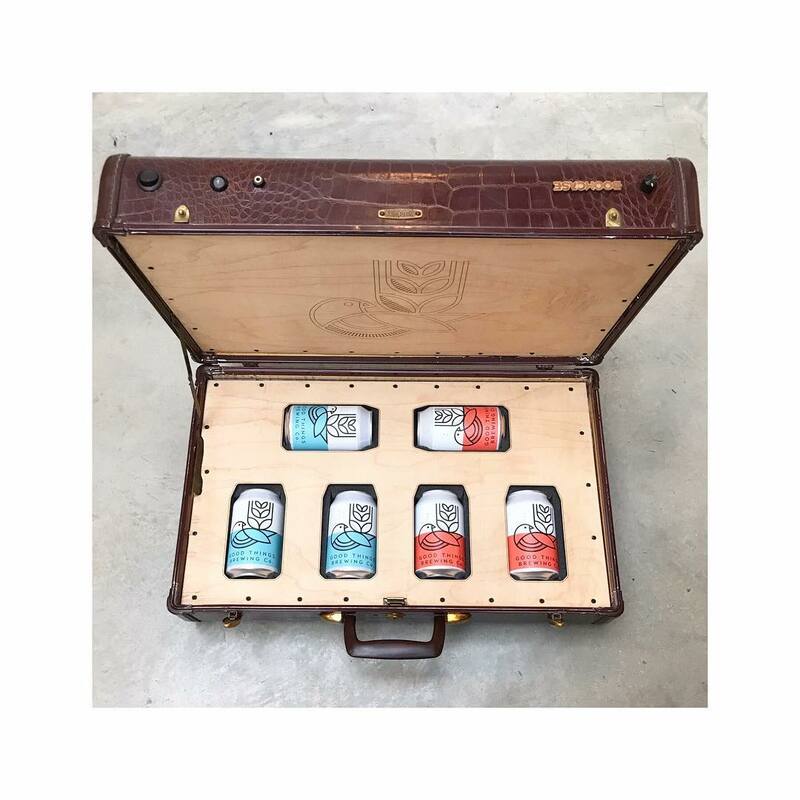 A look at our new BoomCases custom made for Starr Hill Brewery in Virginia. Custom laser engraved logo on the back with a 5.25″ Aluminum Woofer up front and two tweeters up top to finish off the high end. 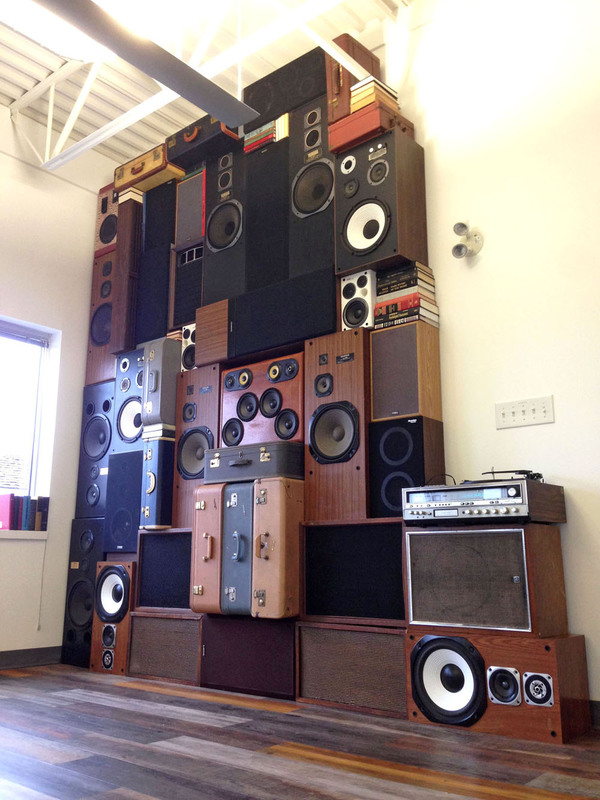 Starr Hill will be using these battery powered speakers at their mobile events across the East Coast. 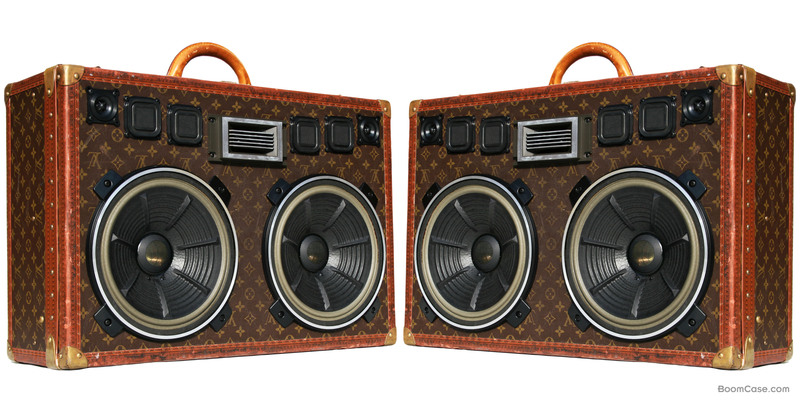 Stay tuned for exciting new options on our BoomCase . 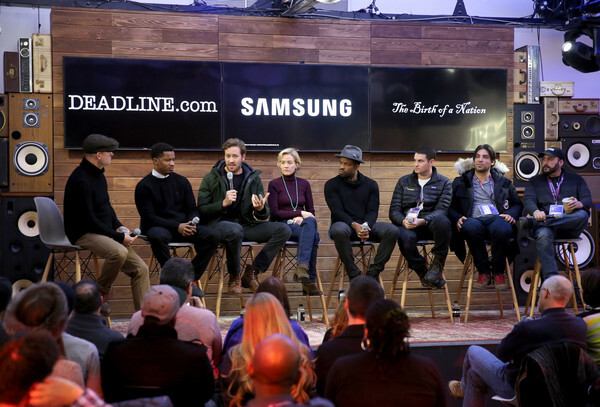 It was an honor to share the stage with so many talented Artists at this year’s Sundance Film Festival in Park City, Utah. 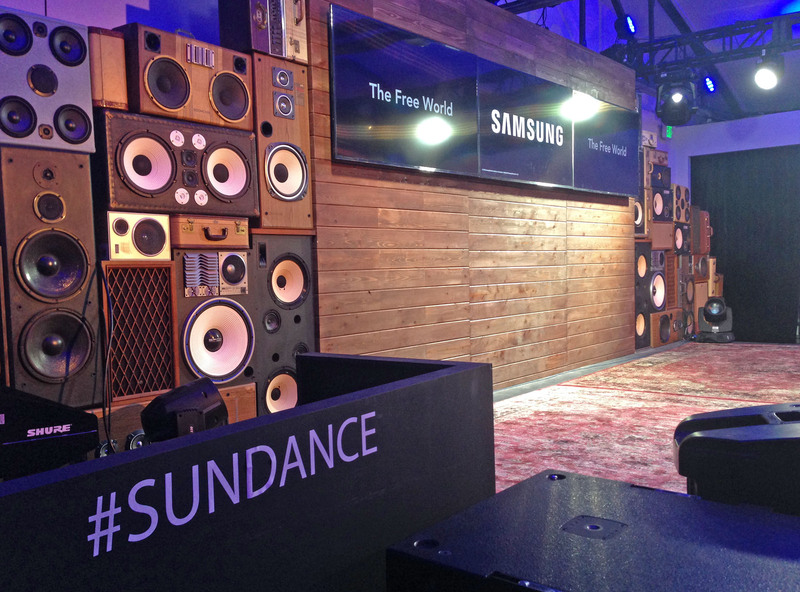 Thanks to Samsung for bringing us on board to design their stage using our “Wall of Speakers” design. See pictures from the various talks and events they held below. Check out some custom BoomCases we made for this H&R Block Commercial now airing nationally! 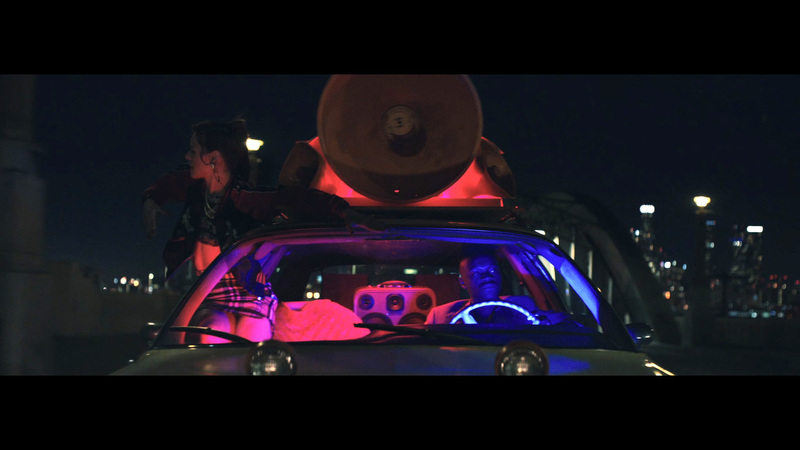 Check out the BoomCase featured in Alex Metric’s latest music video for “Drum Machine”. Big thanks to everyone involved! Stay Tuned for more. 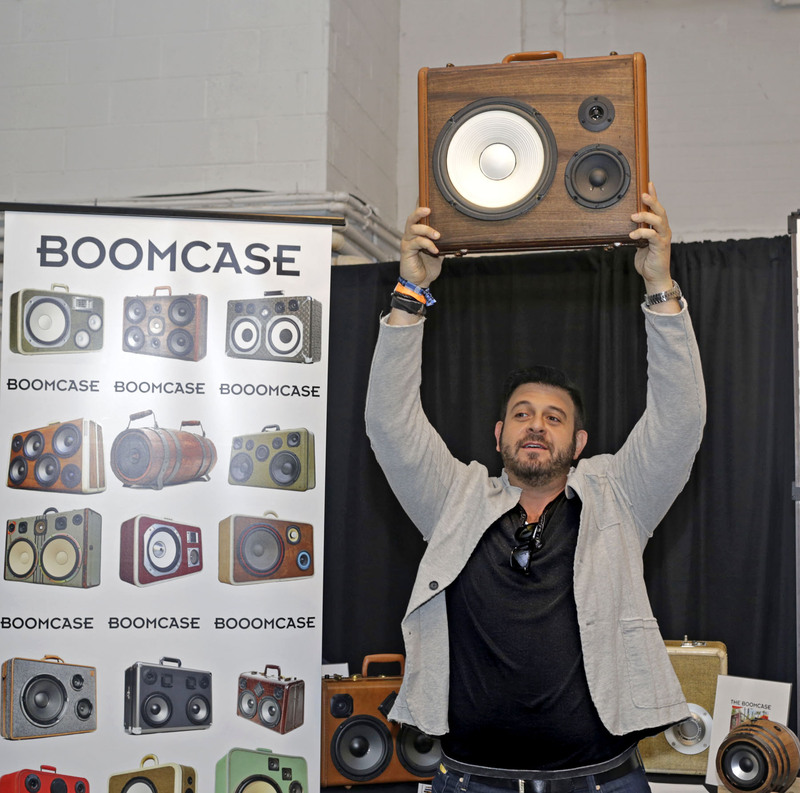 We had the enormous pleasure of sharing the BoomCase at the Food Network, New York City Food and Wine Festival (NYCWFF). 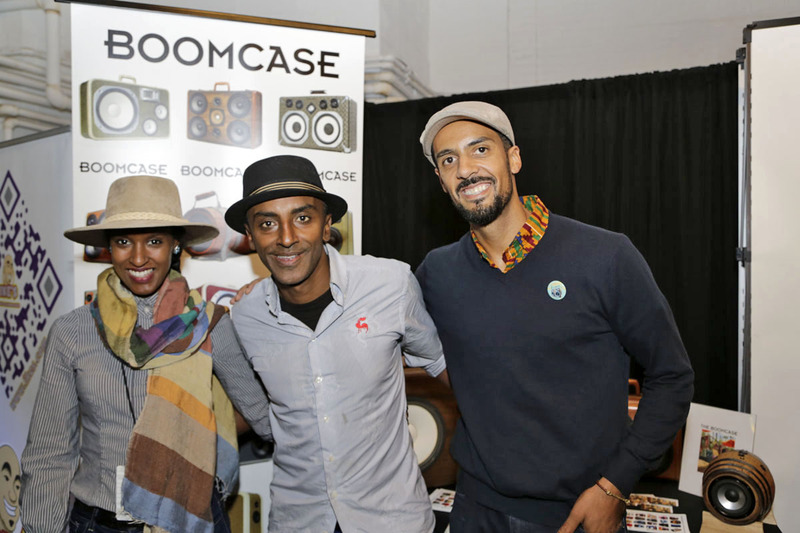 For two days world renowned chefs, culinary rock-stars and media personalities had a chance to experience BoomCases first hand as a part of the “Thank You Lounge” curated by GBK Productions. 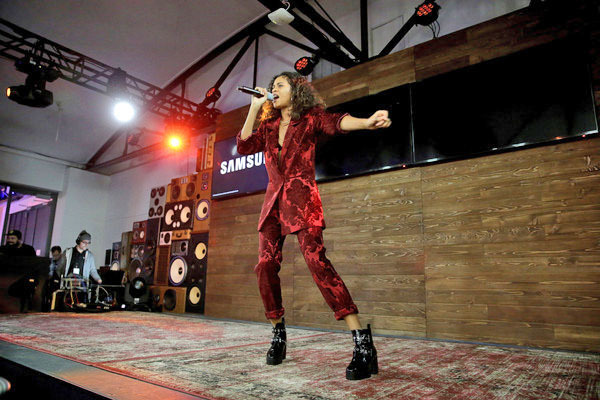 The festival took place at Pier 92 in a 130,000 foot pavilion filled with chefs and wine makers prepared to wow you with small bites and signature drinks. Wine enthusiasts, food-bloggers, editors, and restaurant industry leaders enjoyed a variety of rare and cult favorite brands with a range of diverse offerings from Japanese wagu beef to New Orleans Pralines (this explains the mardi gras beads we found in our suitcases). Cooking demonstrations played on flat screens from multiple stages as Food Network stars did what they do best in front of live audiences. In the GBK Thank you Lounge we had the opportunity to share the Boom with Emeril Lagasse, Marcus Samuelsson, Patti Labelle, Neil Patrick Harris, Rachael Ray, Andrew Zimmern, Adam Richman and many more on their way to and from cookbook signings and shows. The response was incredible and watching the way each guest interacted with the BoomCases created the need for this post. 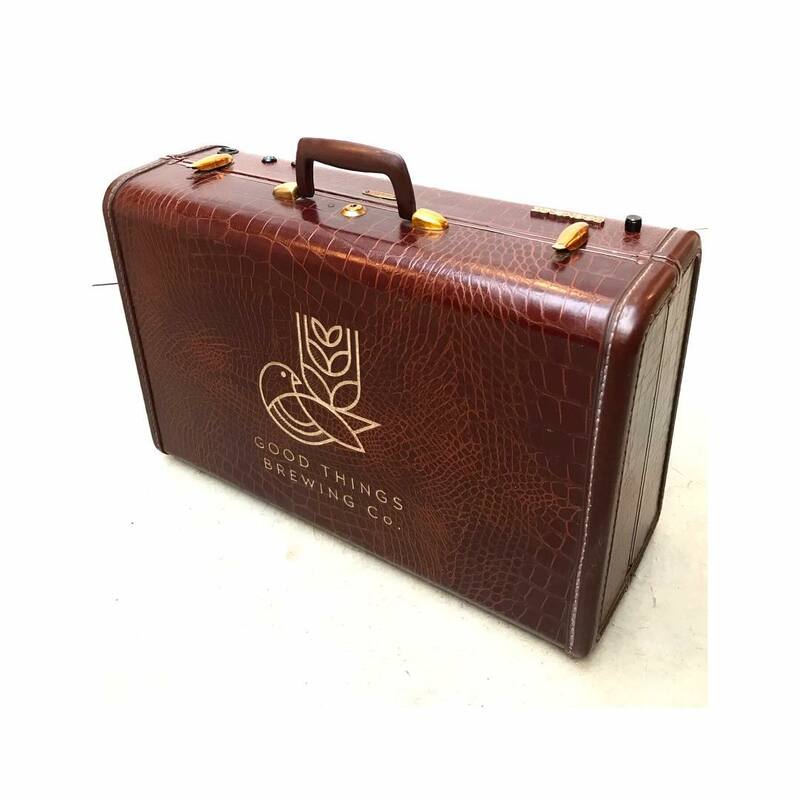 Rachael Ray won the award for longest “Wooow,” and we’re happy to know Chef Marcus Samuelsson is a vintage suitcase collector. Can’t wait to get started on all of the cases for our new fans. Check out the pictures to see more from the event and thank you to everyone who stopped by. 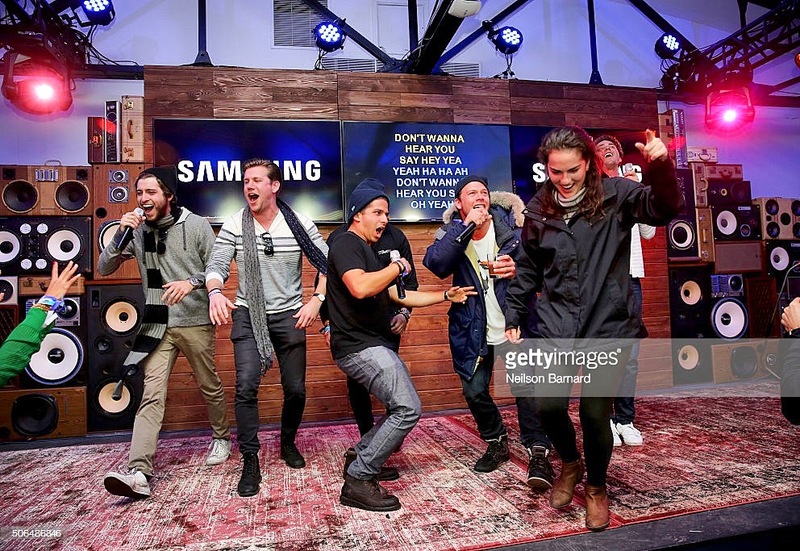 We’re also glad we were able to DJ from our BoomCase, and kept everyone in the suite dancing. 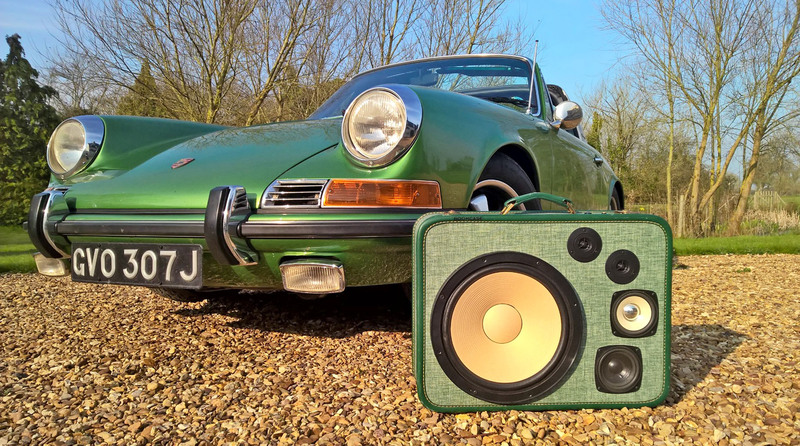 Need a new radio for your Vintage Ford? Your Porsche? Morris Minor? We got you covered. 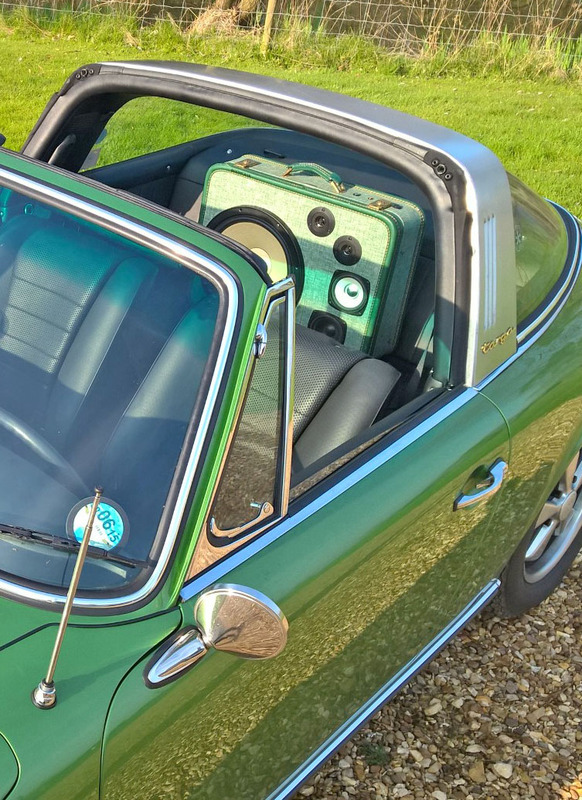 Instead of putting a garish new car stereo in, many people have been opting for a BoomCase. 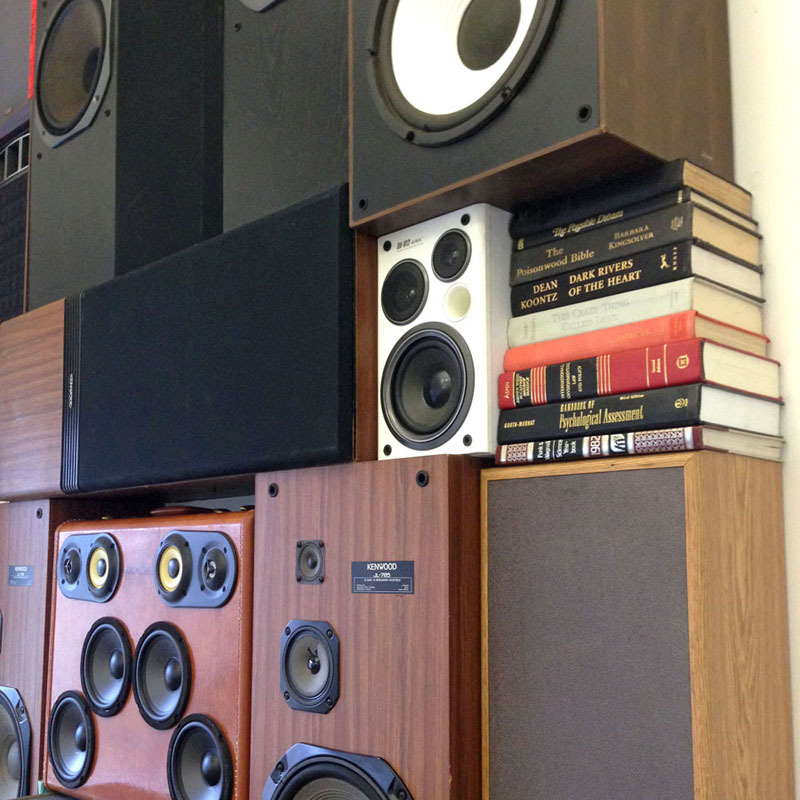 This gives you the classic look while removing the hassle of running wire and cutting holes for speakers. 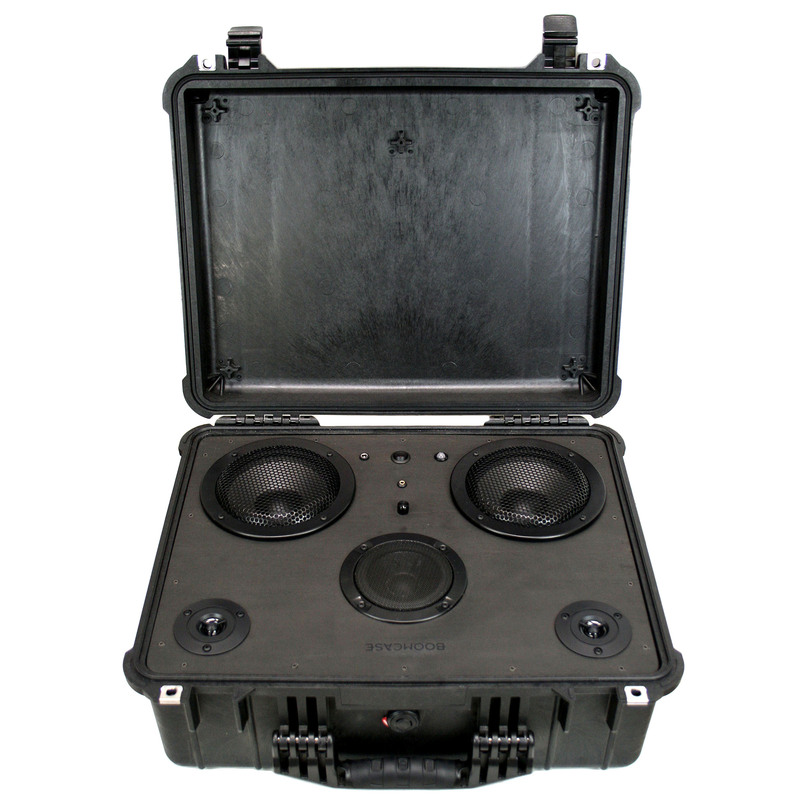 Shoot us an email if you have questions about which BoomCase will fit best in your car. 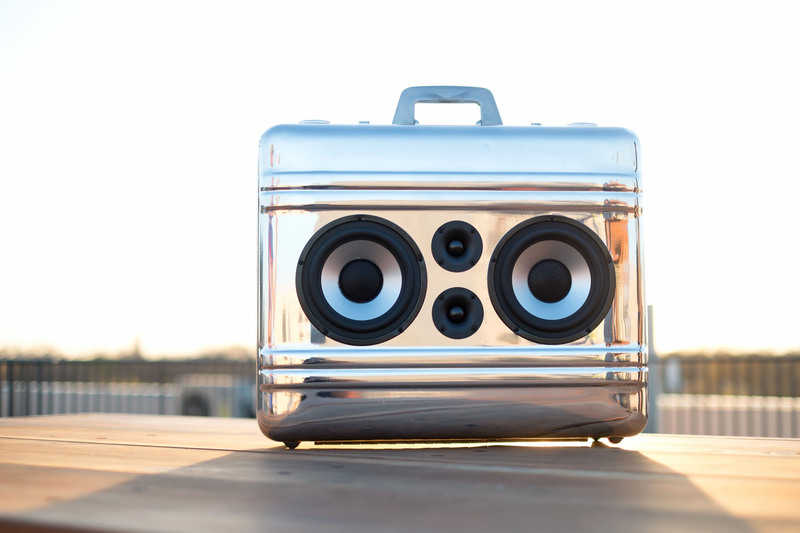 Introducing our latest Polished Zero Halliburton BoomCase. 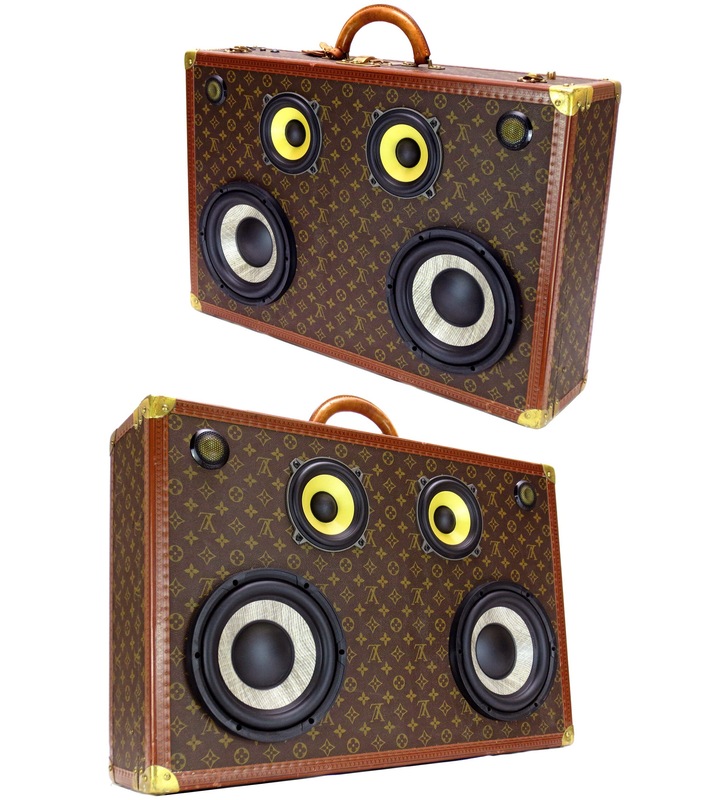 Originally these solid aluminum suitcases have a matte finish to them. After countless hours of polishing we are able to create a mirror like finish on these beautiful vintage suitcases. One is now available in our online store and a few more on the way. 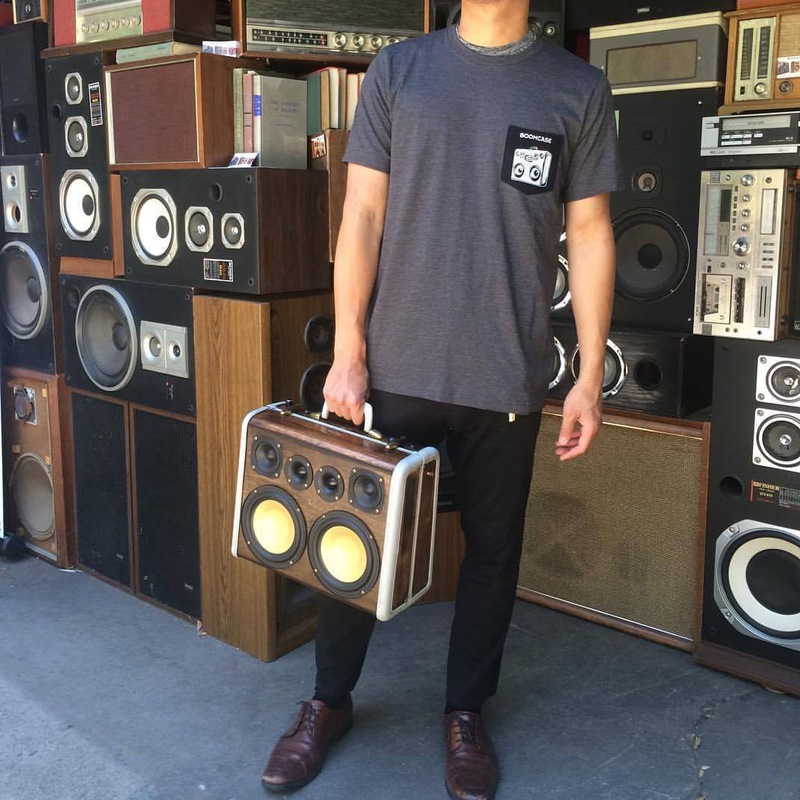 Introducing a new section on our website “Featured BoomCase Owners” ! We wouldn’t be here without their support and we love how diverse they are. 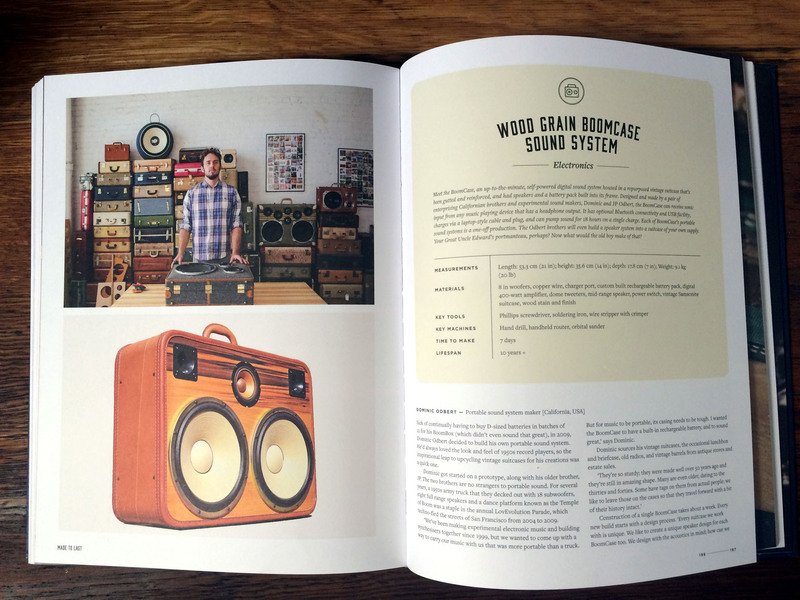 So each month we will be showcasing a couple of BoomCase owners and the what, when and where of their BoomCase. 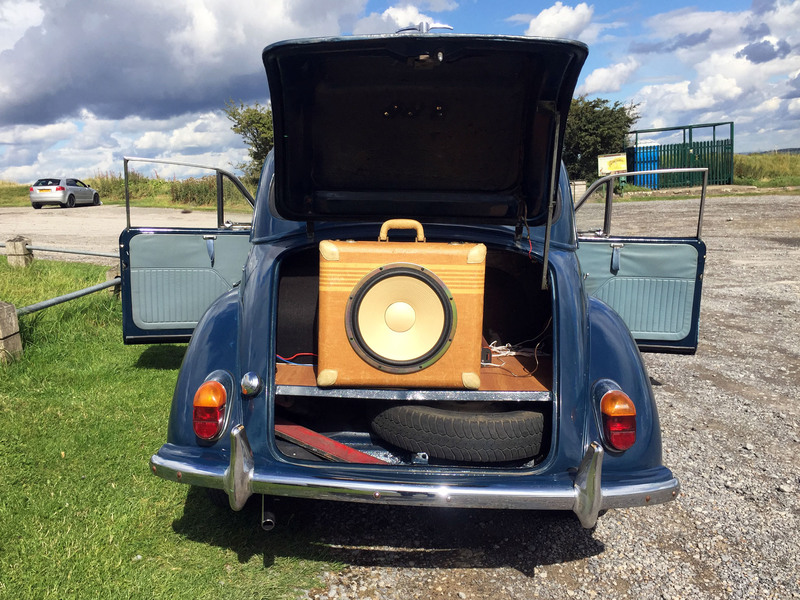 Plus some interesting stories like our first featured owner Lisa Busby, a professor of Music at Goldsmiths in London, who uses her BoomCase for portable sound art projects. 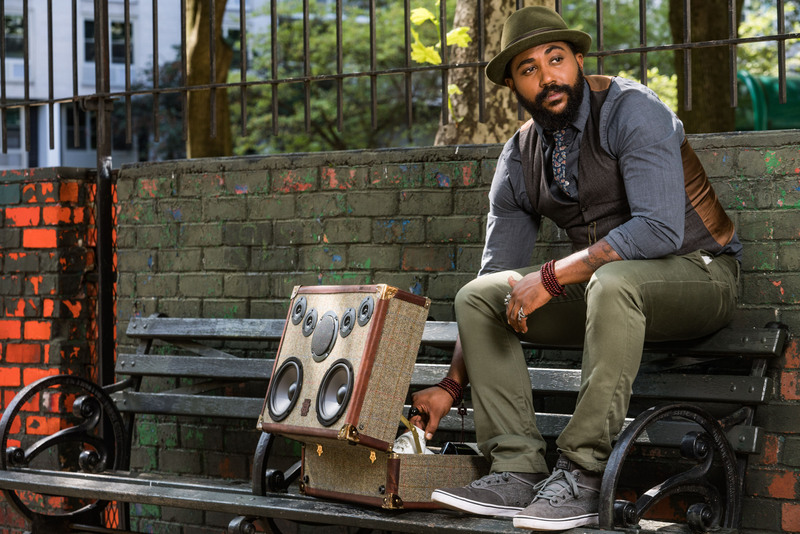 Or how Swizz Beatz bought Julian Hines BoomCase directly from him after hearing it. 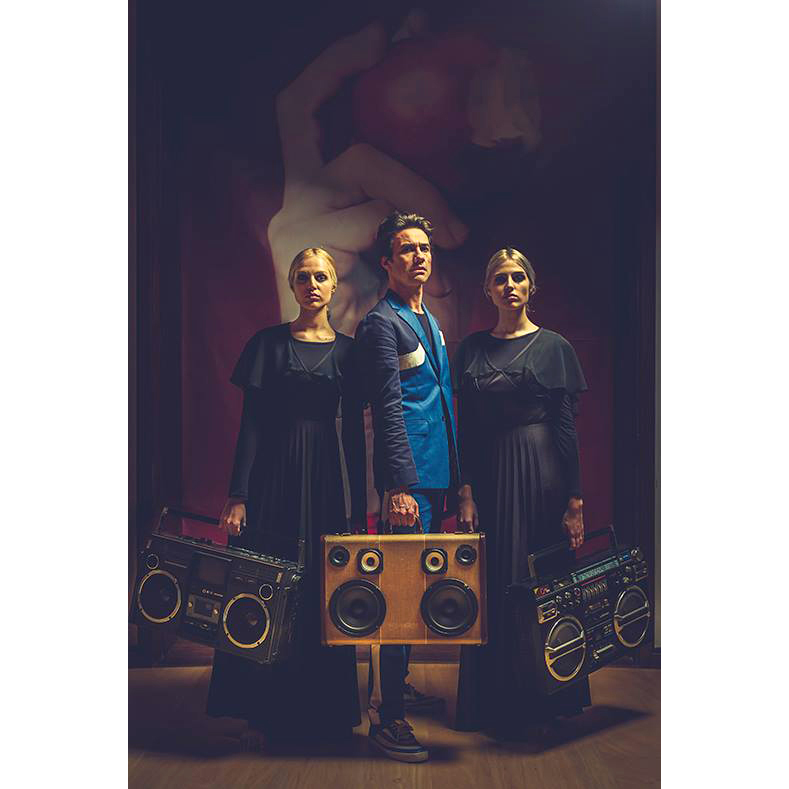 Check out the new section here – LINK – and if you are a BoomCase owner and we have not contacted you yet – feel free to shoot us an email if you would like to share your story. Thanks for all the support everyone! 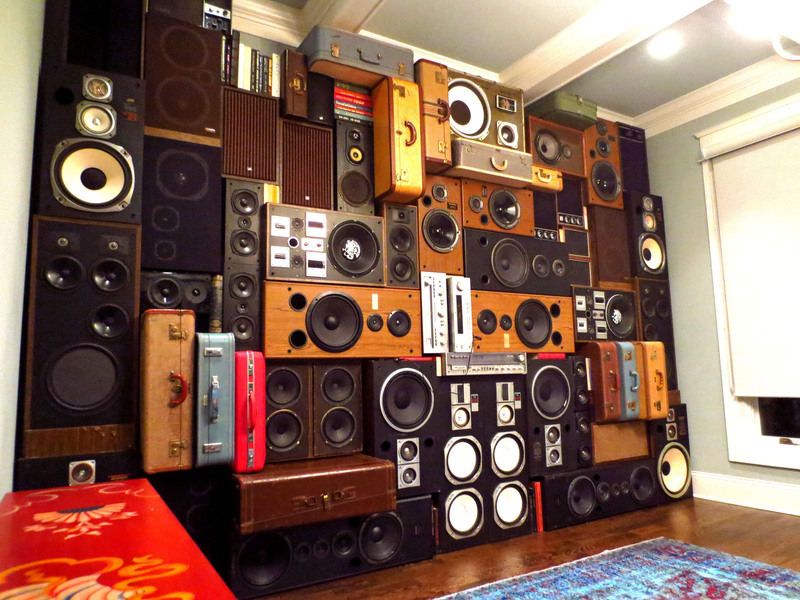 Over the years we have been creating home and outdoor vintage trunk sound systems for various business and homes. Now we are offering them direct on our website! 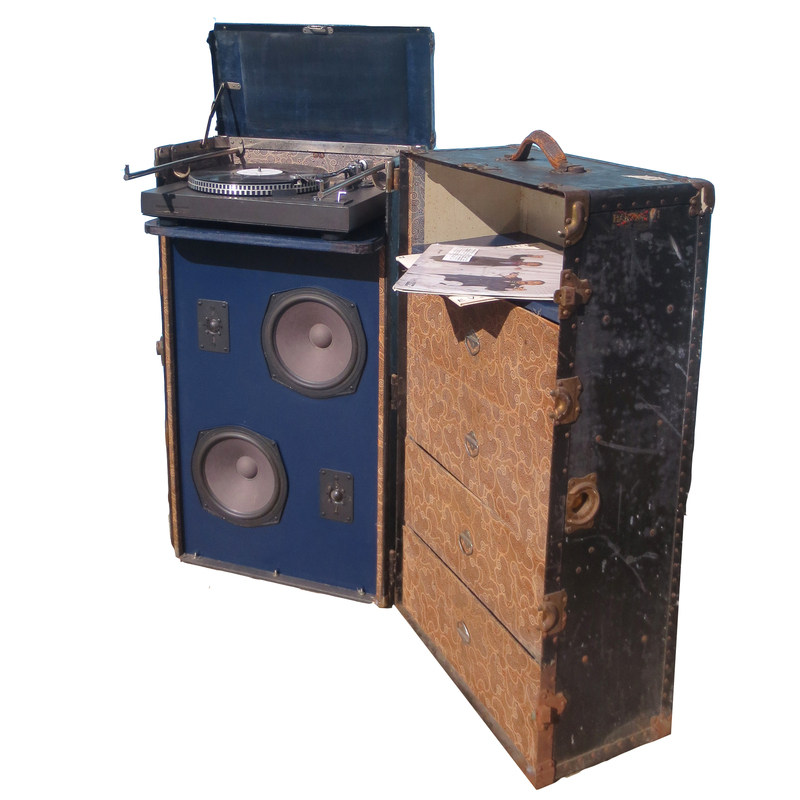 The trunks can be fitted with turntables, batteries for outdoor use and are still able to fully close.Take a look at the few examples below and learn more in our online store (LINK).